John Scott sits down to chat with Denis at the Chicago Blackhawks Convention this past July to chat about the Golden Days of the NHL. In a wide-ranging conversation, the two chat about Denis's career, his fighting experience and what it was like to celebrate a win when he played for the Chicago Blackhawks. John Scott currently has a book out, called "A Guy Like Me." Oct. 11, 1980 Denis Savard scores his first NHL goal vs. Denis Herron of the Canadiens at the Montreal Forum (sequence from Soiree du Hockey, Radio-Canada). Denis Savard, wearing a GoPro, and Steve Larmer skated with the current Blackhawks at Training Camp Festival. 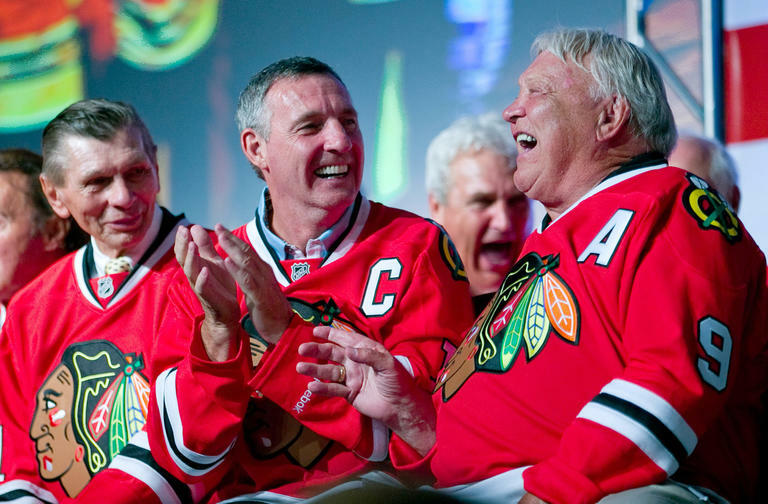 An undersized center with dazzling moves sparked the Blackhawks revival in 1980s. Denis Savard scored better than a point-per-game for his career. Watch this video created by the National Hockey League that showcases Savard’s incredible career. Denis Savard tests a passenger's hockey knowledge in a two part video series called Blackhawks Bucks presented by Uber. 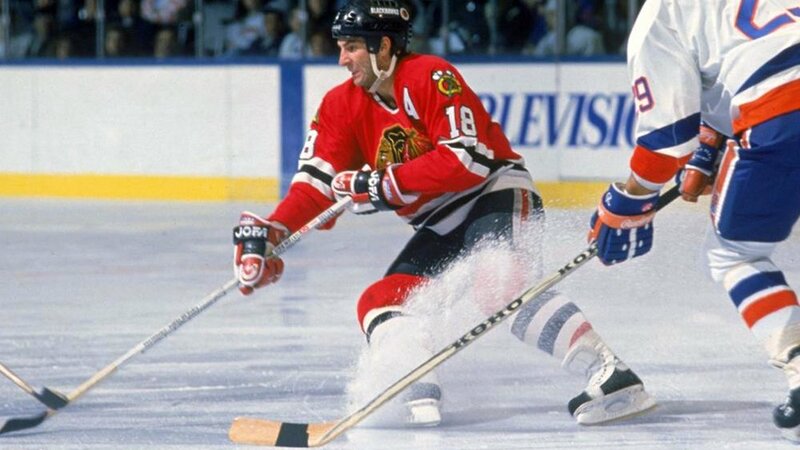 Denis Savard is one of the most celebrated hockey players to lace up the skates. In 1980 he was drafted by the Chicago Blackhawks 3rd overall and tallied 75 points in his rookie season. He quickly rose to the top of the NHL as a superstar with the Blackhawks. 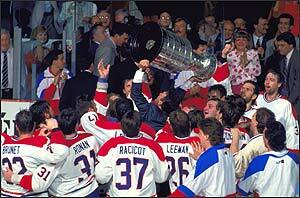 After 10 seasons in Chicago he was traded to his hometown Montreal Canadiens where he won a Stanley Cup in 1993. Known for the “Spin-o-rama,” Denis became one of the most popular and electrifying players to watch in the National Hockey League. At the end of his storied career, Savard played in 1,196 NHL games and amassed 473 goals and 865 assists, totaling 1338 points. Denis was inducted into the Hockey Hall of Fame on November 13, 2000. In the video below, Denis talks about his storied career and what is most important to him. Check out this archived video from the 2000 Hockey Hall of Fame induction broadcasted by TSN. Denis Savard was inducted into the Hall of Fame on November 13, 2000 after an illustrious 17 year NHL career. In the edition of the “Blood, Sweat and Cheers” series created by ChicagoBlackhawks.com, “The Great One” Wayne Gretzky talks about his many, many matchups against Denis Savard and the Blackhawks. Denis Savard and I are seeing more of each other now than when we played, which is natural. In the National Hockey League, you see each other on game nights, and you never really socialize. You’re cordial if you talk at all, and there’s a respect factor. But you don’t really hang out until you’re done, which we both are now. I’ve had the same kind of relationship with Mario Lemieux since we retired. Denis has been good enough to come to my fantasy camp the last few years. It’s every February in Las Vegas for five days, and it’s part of my charity foundation. A bunch of former players come out and we have a ball. We’ve even had Mike Keenan out there to coach. Just to make us feel at home, he throws a tantrum every once in a while. To read the full article by Wayne Gretzky please click here. “Watching Patrick Kane in action is one of the biggest thrills you can have watching hockey. There are plays he makes, even playing the game as long as I did and watching as many games as I have, that make me say, “How did he do that one?” He’s just fun to watch, simple as that. I absolutely enjoy going to games and watching him play; 20,000 fans at the United Center would agree with me. Read the full article at chicagoblackhawks.com.